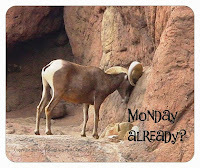 Tucson Daily Photo ~: Tucson Trivia Time! This building at 648 N Stone Avenue looks like it once served ice cream, right? Wrong! 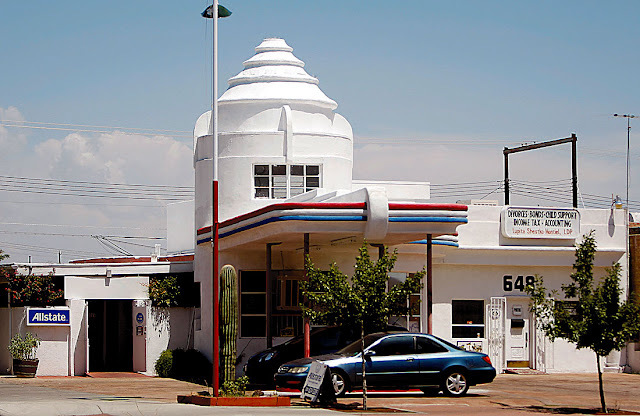 It was actually built in 1924 as a gas station, "Old Pueblo Station." It remained a gas station until 1981 and it now houses an insurance company and accounting firm. It is also famous among movie buffs because it can be seen in the movie "Stir Crazy" with Gene Wilder. I always enjoy post that include historical and background information.